Isle-aux-Coudres, 2010–2011 – The N.M. Grue-des-Îles, connecting Montmagny to Isle-aux-Grues, receives a major upgrade at Ocean Industries’ shipyard over the winter. The upgrading work, involving over 20,000 hours of work for around 100 employees, increases the ferry’s passenger capacity and improves its services. The N.M. Grue-des-Îles is lightened by 16.5 metric tons in order to extend its load capacity from 84 to 127 metric tons. Its draft is reduced by approximately five centimetres. 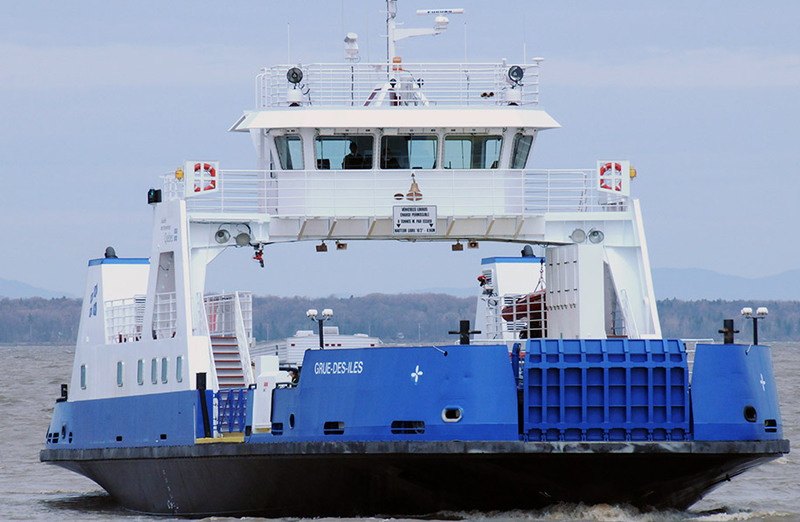 The conversion of its seawater intakes to internal circulation coolers will prolong the ferry’s operating season and help solve its icing problems.